Great news for music fans and anyone who hasn't already seen this brilliant music documentary by Jeanie Finley, it will be televised for the first time on 16th November 10:55pm on BBC4. 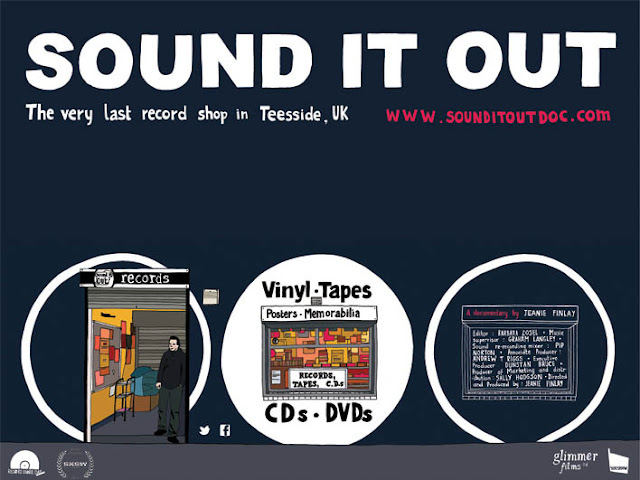 Sound It Out is a great documentary that gives you a glimpse into one of the last and most special record stores in the UK today. It's a film as much about the music industry as it is about music itself and the people who obsess over it. The film has been doing the rounds, festivals, Q&A's, a tour of the UK, you name it! It was recently released on DVD but this is your chance to see a 60 minute TV edit of the film. Very proud of Tom, Jeanie and everyone involved... Can't wait to come back up north for Christmas and browse the racks of one of my favourite record stores once again... cheers!